I usually end up doing a few quick projects to help freshen up spaces in my home and make them work better for our family every year. 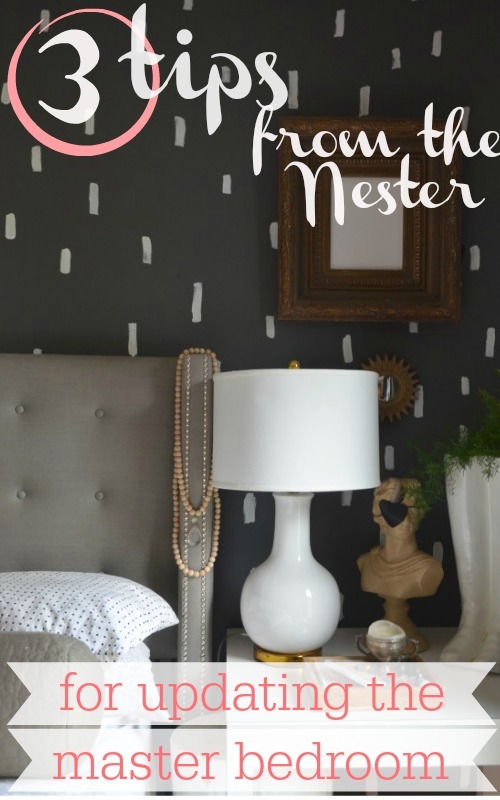 When I was thinking about quick tips to update rooms, I thought there was no one better to give tips than The Nester. 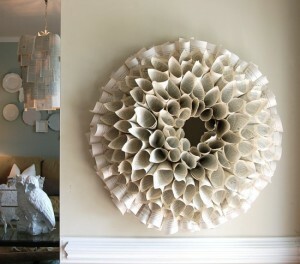 The Nester has a blog all about how a home doesn’t have to be perfect to be beautiful. She gives practical decorating tips that work for real live families and not just things you see in magazines (although, she’s been featured in a couple of those, too!). For the next three days she’ll have a guest post on Southern Savers about quick ways you can practically update your home right now and not spend a ton of money. Don’t forget to keep reading for a chance to win her book, The Nesting Place: It Doesn’t Have to Be Perfect to Be Beautiful. 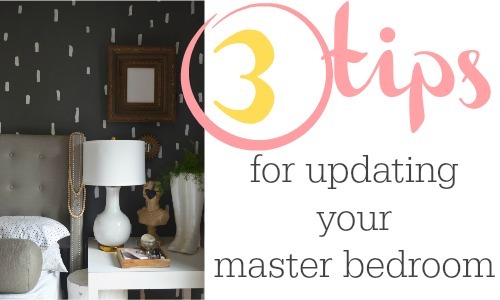 First up: The Nester’s tips on the master bedroom. 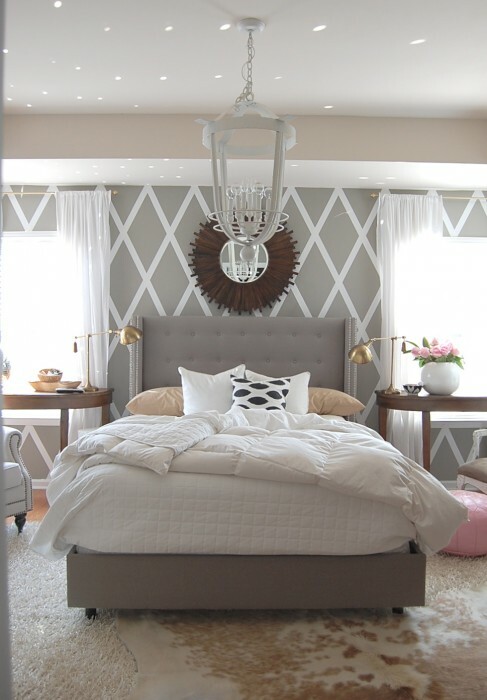 One of my biggest home regrets is neglecting our master bedroom. Since it’s not a public room, it’s easy to fall into the trap of saving it for last. But it’s SO worth it to spent a little time making your bedroom a hospitable place for YOU. I know accent walls can seem very 1990’s but I still love them. In our last two houses I created an accent wall on the wall opposite the the bedroom door (most homes are set up so the bed goes on this wall). Accent walls are great because even though there are four walls in a room, you only need to commit to changing ONE! 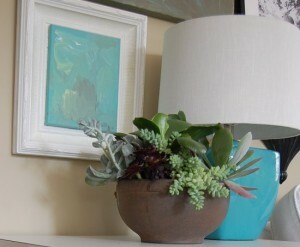 One afternoon and one can of paint can make a huge difference in your room. If you want to cozy it up, go with a dark color, if the room is too dark–go lighter. 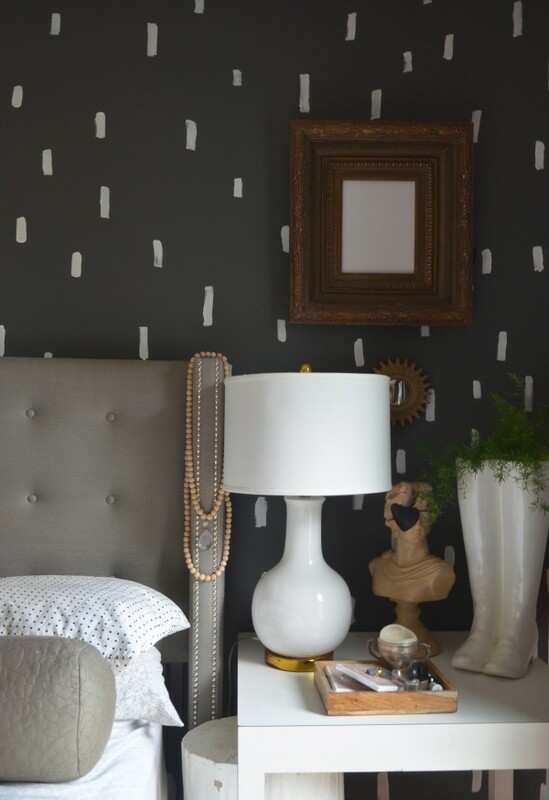 Sometimes after I paint I still want some umph, I’ve used white duct tape to create a diamond accent wall, and I’ve used paint (no artistic skills needed) to create a quirky wall that was unexpected. Sometimes our routines get in our way. One of my favorite things to do when I feel like my room is stuck and I don’t know where to start is to just hush everything that I see. Quieting a room will let you see the space with fresh eyes. 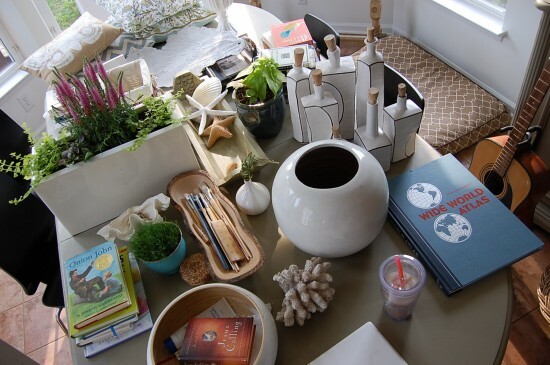 Here’s how: remove everything from every surface in the room: the magazines, the clothes, the bags the letter the plants, the nail polish, the photo frames: EVERYTHING. Put the clothes and things that don’t belong on your surfaces away. And put everything that does actually belong on a surface into a little holding area for a day or so–sometimes I just pile all my frames and polish and table toppers under a table in another room. Once your room is cleared of the smalls, you’ll have space to exhale, the room will breath a little bit, and after 24 hours you’ll be able to better decide what should truly go back into your room. Here’s a step by step process of how to quiet your space: don’t underestimate the value of doing this–it’s fun! Feeling inspired yet? The Nester is giving away 10 copies of her book, The Nesting Place: It Doesn’t Have to Be Perfect to Be Beautiful. Fill out the form below to be entered to win. If you don’t see the form, enter the giveaway here.